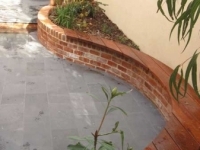 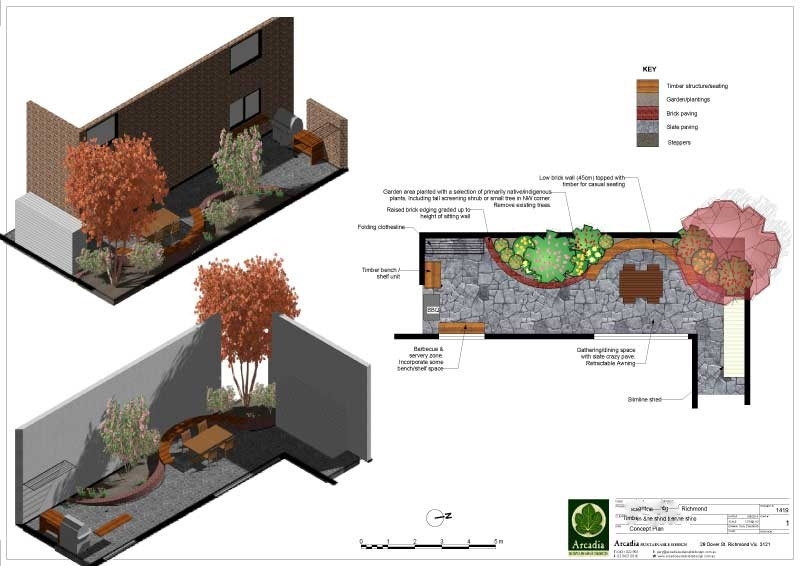 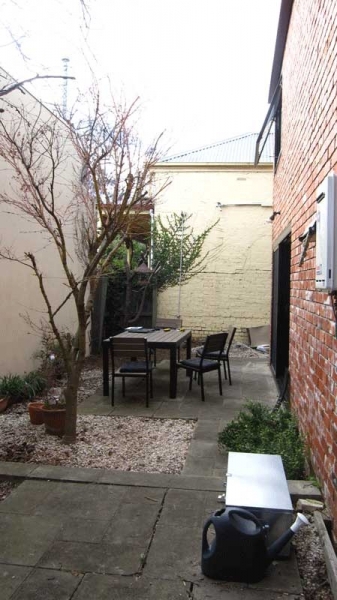 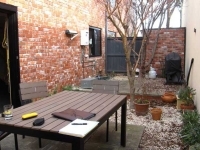 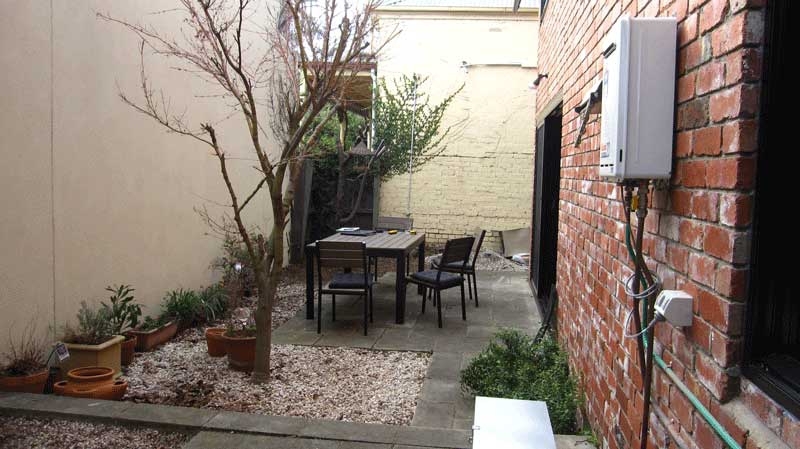 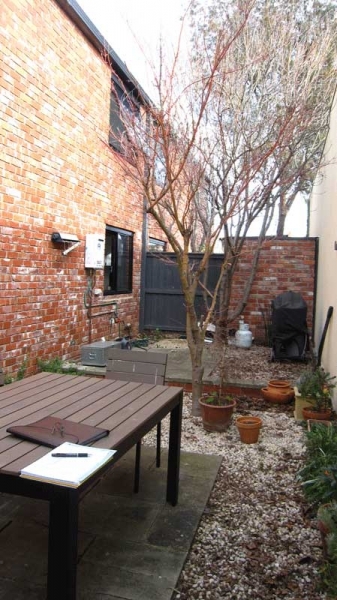 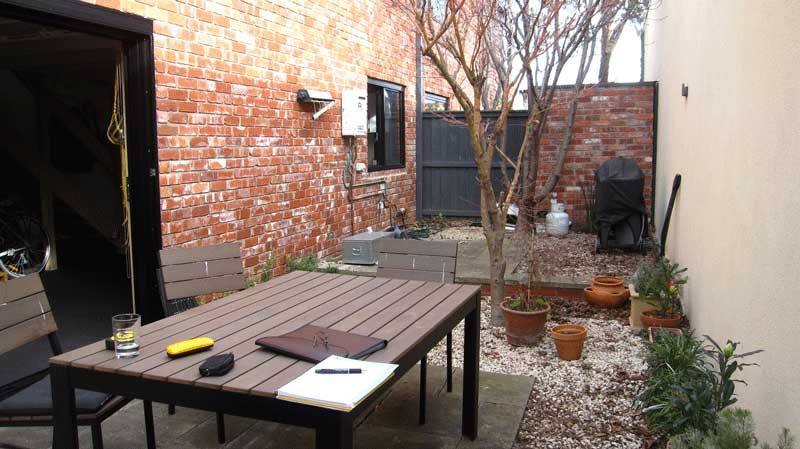 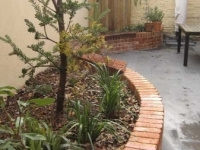 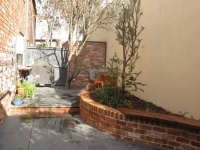 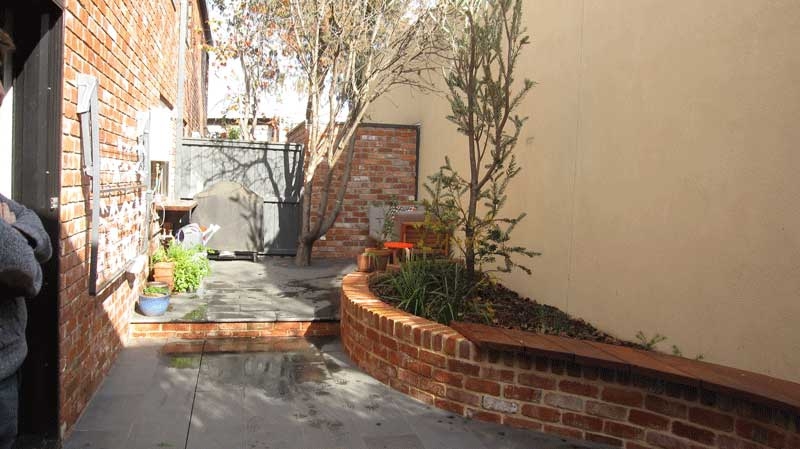 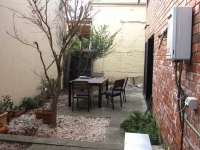 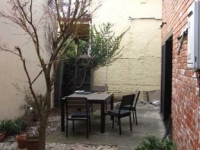 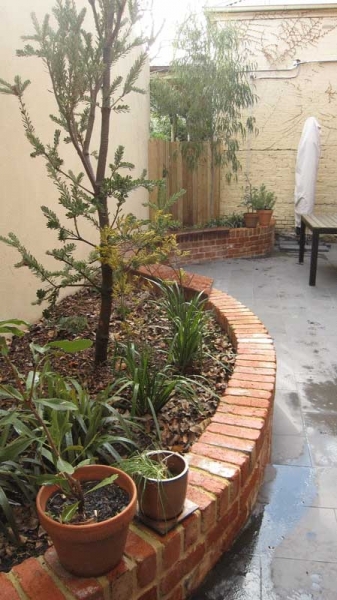 This long narrow space in the rear of an inner suburban home needed a new courtyard design to improve its functionality as well as its appeal. 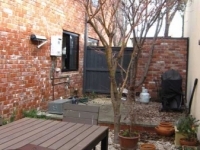 It had a a nice sense of privacy with surrounding walls but felt a bit like being in a cell. 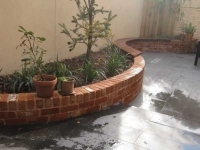 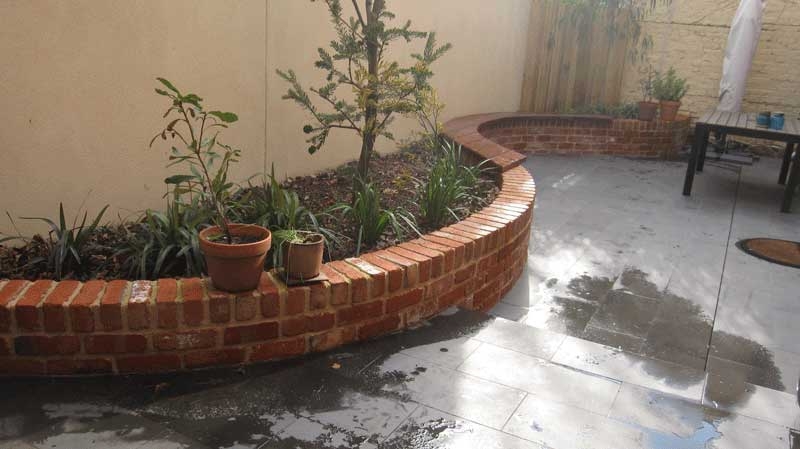 A curved, brick sitting wall was designed to break up the long space as well as to disguise the cell like nature of it. The sitting wall also contained garden plantings that would soften the walls and provide some soothing greenery. 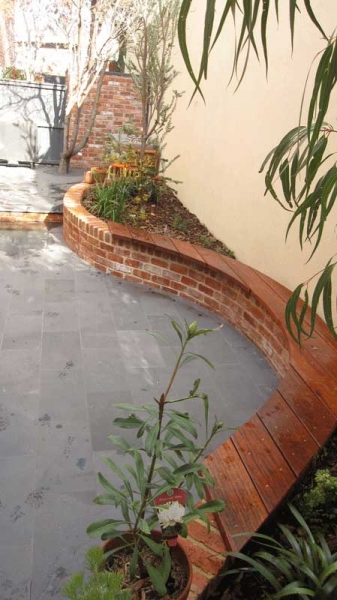 New bluestone paving gave a nice contrast to the red brick as well as giving a functional and stylish base.